After wide consultation with parents, students, staff and the local community, it has been agreed that Lanyon High School will implement a school uniform. All students are required to arrive at school and leave school in full school uniform. 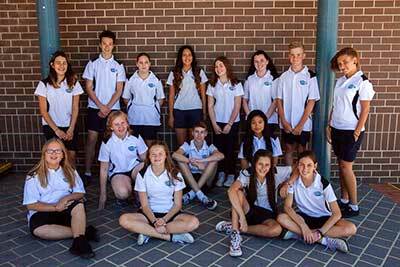 The wearing of a school uniform contributes to the safe and welcoming environment at Lanyon High School. It also assists in presenting a positive school image in the wider community and a sense of school community amongst our students. It also provides easy identification of Lanyon High School students in playground areas and on excursions. It is cost effective for parents and reduces peer pressure on students to wear expensive 'brand name' fashion clothing to school. It also reduces appearance based bullying related to clothing. Second hand uniforms are available for a gold coin donation from the front office. Please donate good quality second hand uniforms at the front office.